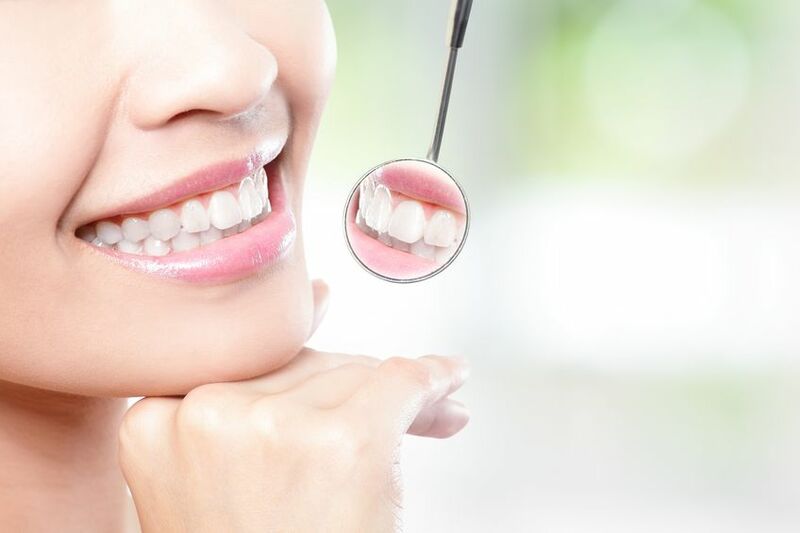 Many people really like a brilliantly white smile and there is a selection of products and procedures available to assist you to improve the appearance of yours. Most people are satisfied with the sparkle they get from day-to-day proper oral care which should include brushing and flossing, and regular cleanings here at our office. If you would like to go beyond this to make your smile look brighter, there a few options that might be worth investigating. Begin by speaking to one of our dentists. He will tell you whether teeth whitening procedures will be effective for you. Whiteners may not correct all types of discoloration. For example, yellowed teeth generally bleach well, brownish-colored teeth don’t always bleach well, and grayed teeth might not bleach well at all. People are going to notice your newly whitened smile. However, the teeth whitening will not be even if you have had bonding or tooth-colored fillings applied to your front teeth. The whitener will not affect the color of these materials, so those particular teeth will not match your newly whitened smile. You might consider other available choices, like porcelain veneers or dental bonding on your teeth in those instances. In-office bleaching: This procedure is known as chairside bleaching and usually calls for just a single office visit. Our dentist will apply either a gel or a rubber shield to your gums in order to protect your soft tissue. A bleaching agent is then applied to the teeth, and a special light will be pointed at the gel causing a reaction that bleaches the teeth. Lasers have been used during tooth whitening procedures to enhance the action of the whitening agent. At-home Whitening: There are several types of products available for use at home, which can either be provided by one of our dentists, purchased over the counter. Generally, they are in the form of teeth whitening trays, strips, or paint-on products. Peroxide-containing whiteners actually bleach the tooth enamel. They typically can be found in a gel and are also put in a mouthguard. Usage regimens vary. There are potential side effects, such as increased gum or sensitivity irritation. Consult with your dentist if any concerns are had by you. Whitening toothpaste: All toothpaste help remove surface stain through the action of mild abrasives. “Whitening” toothpaste with the ADA Seal of Acceptance have unique chemical or polishing agents that provide additional stain removal effectiveness. Unlike bleaches, these ADA Accepted products do not alter the intrinsic color of teeth.